Draper James released this dress this past week that's inspired by Reese Witherspoon's character, Madeline, on Big Little Lies. It's an absolutely darling dress. The green and yellow floral pattern is perfect for spring, summer, or fall and the belt adds some flattering waist definition. If you zoom in on the picture you can see that the flowers and leaves have a gorgeous texture to them. It's a truly beautiful dress. I am obsessed with these espadrille tennis shoes. They look so comfortable and fun to wear. 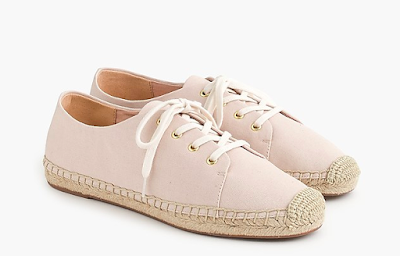 The espadrille and the feminine blush color really upgrade a simple sneaker, so they can be worn with dresses and skirts in addition to shorts and jeans. I would love to pair these with a white dress and a whicker bag for a fun day around town, or with a simple pair of navy shorts to go on a summer bike ride. They're so practical while still being absolutely adorable. I wish I could wear maxi dresses, but at 5'3" they tend to swallow me up in all the fabric or drag on the floor if I'm not wearing heels. 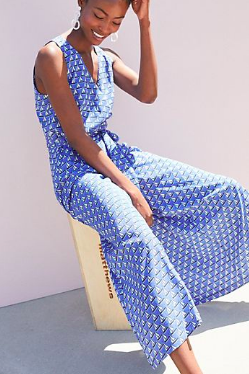 I'll stick to midi dresses for now, but if I was tall enough for a maxi dress, I would definitely get this one. The floral pattern and the slightly puffed up sleeves are so feminine and romantic. 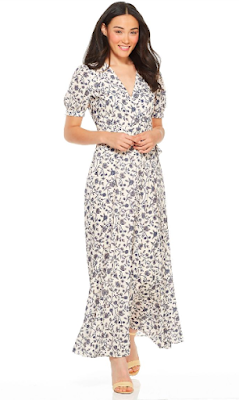 I want to put on this dress and walk barefoot through a meadow, or wear it in the French countryside. Lilly Pulitzer released another S'well collaboration this week, and surprisingly it didn't sell out immediately. All the prints are still available on the Lilly Pulitzer website. I have a plain light blue S'well water bottle and I love it. The 17 oz is a great size to hold a ton of water without being too heavy in your bag, and it actually keeps the water super cold. 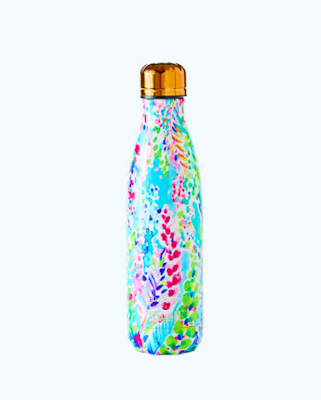 The Lilly Pulitzer prints add such a fine splash or color to a very unassuming object that so many people carry around with them every day. Carrying around a water bottle like this every day would put a smile on my face. As I just mentioned, I can't pull of maxi dresses because I'm too short, and that also applies to full length jumpsuits. They just drag on the floor and the torso sizing is always off on me. However, if I could wear a full length jumpsuit, I would buy this one in a heart beat. The sailboat print is perfect for summer, but since it's a blue and white pattern it's not too loud and obnoxious. It's the perfect balance of fun and subtle. This would be a great outfit for the 4th of July, paired with bright red sandals or bright red lipstick.